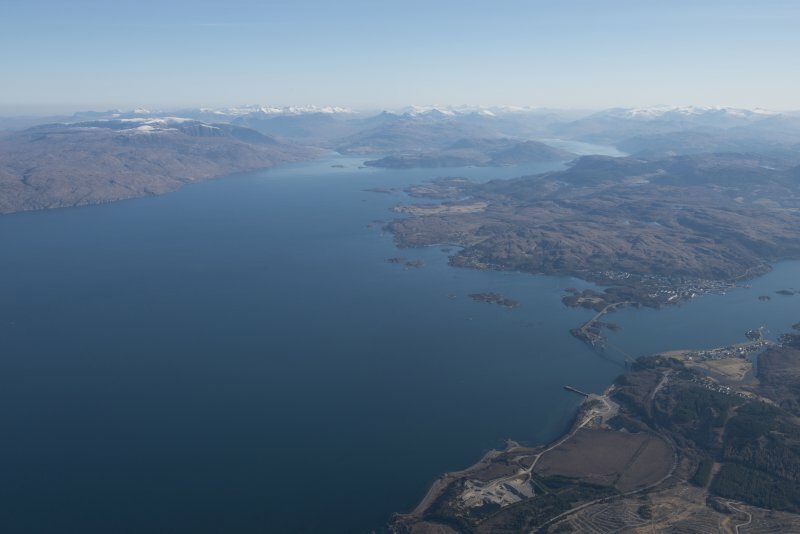 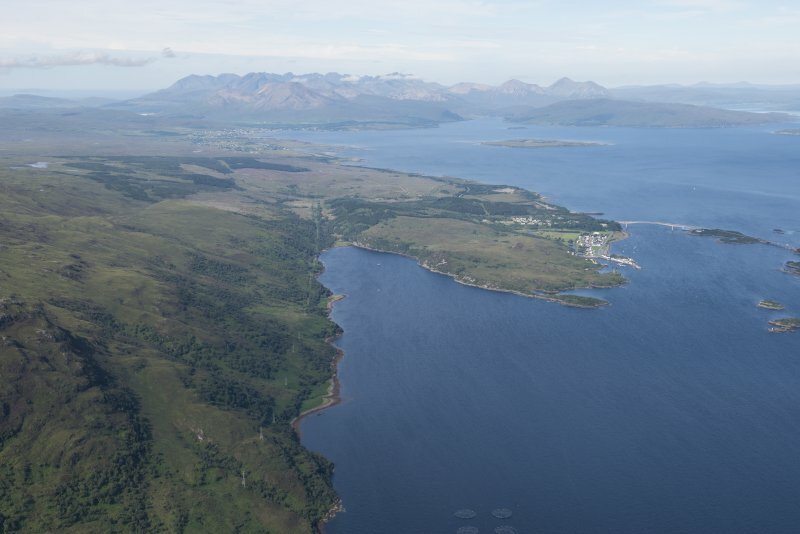 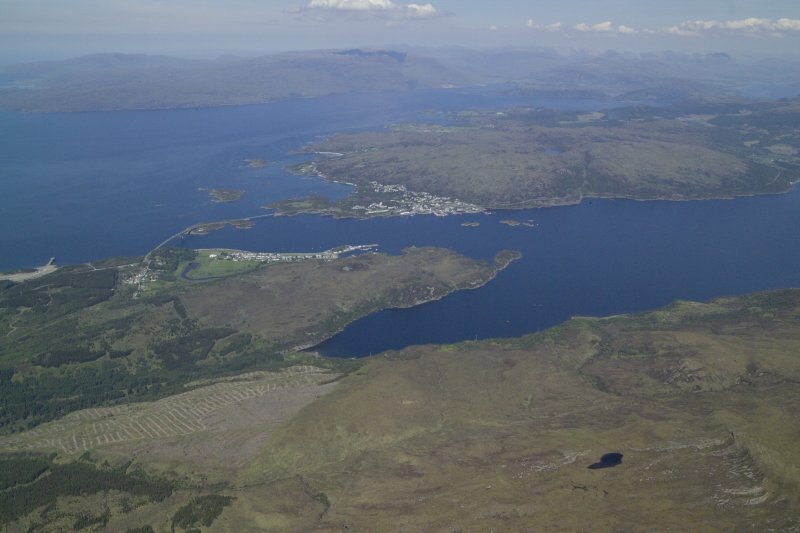 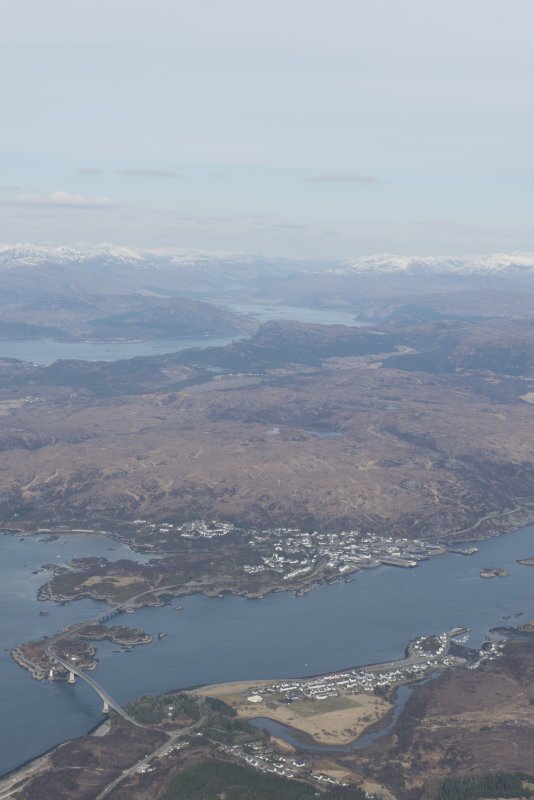 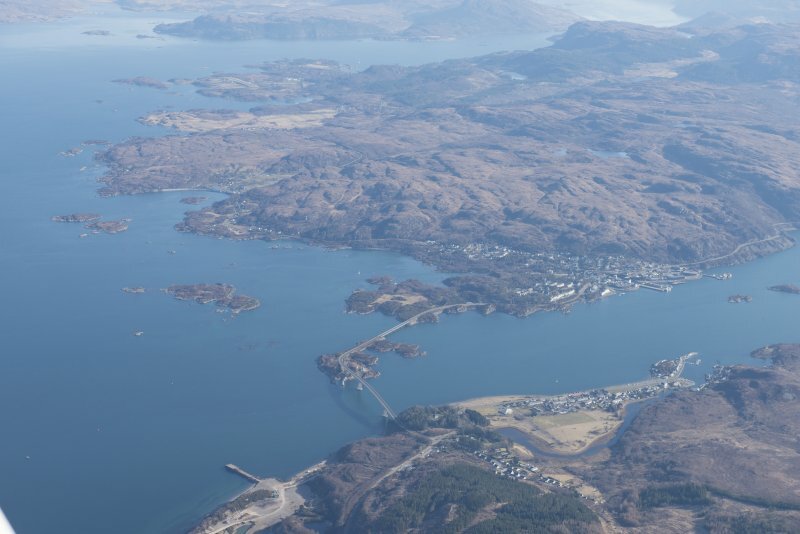 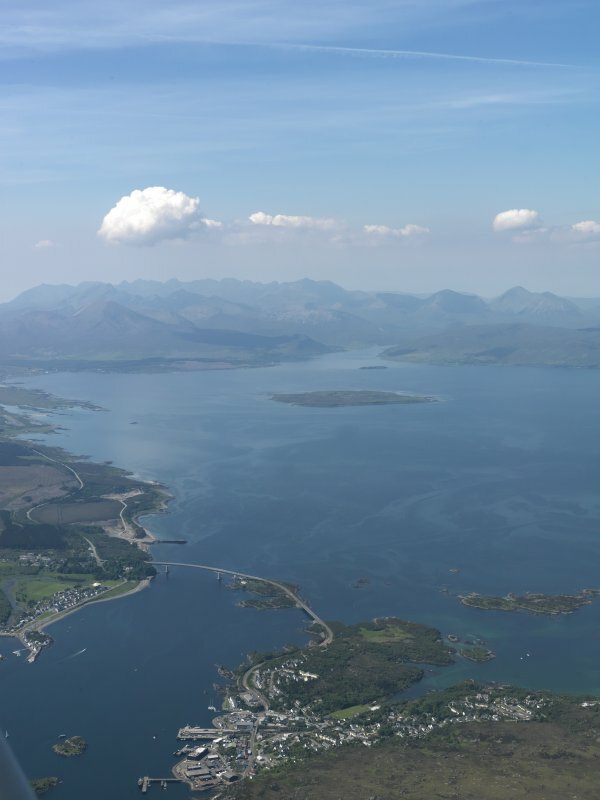 General oblique aerial view of Loch Alsh and the Skye Bridge with Plockton and Loch Carron beyond, looking ENE. 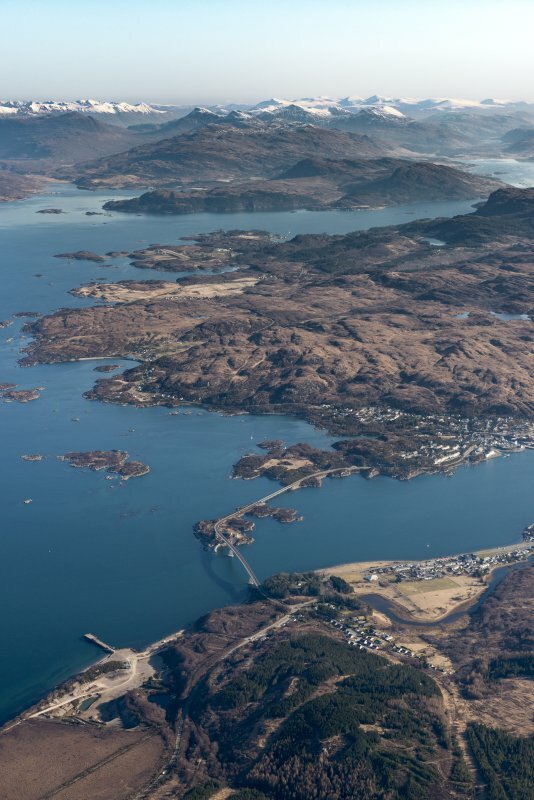 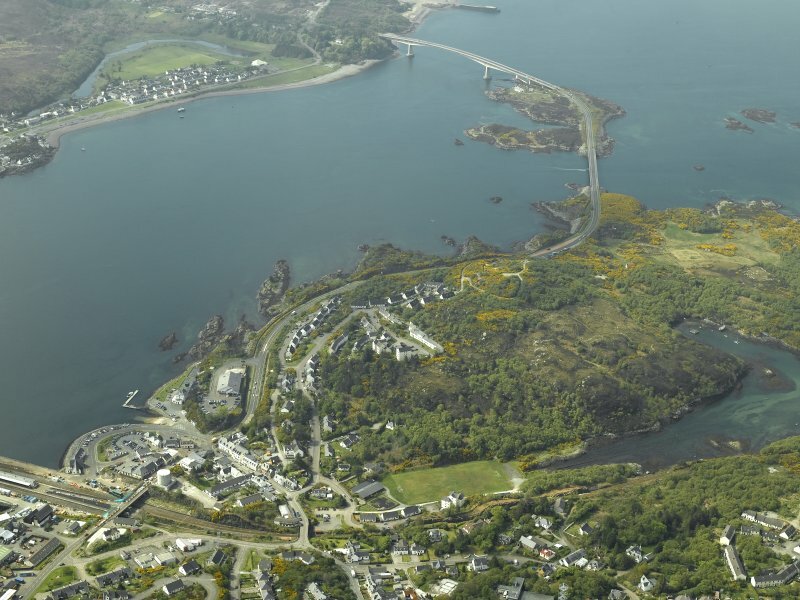 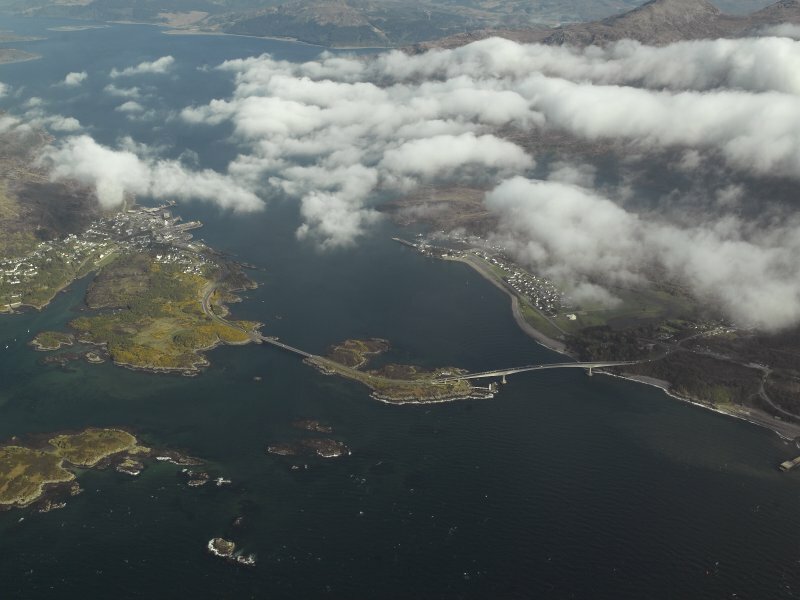 General oblique aerial view of the Skye Bridge and Kyle of Lochalsh, taken from the S.
General oblique aerial view of the Skye Bridge with Kyle of Lochalsh in the foreground and the Cuillin Hills in the distance, taken from the S.
General oblique aerial view centred on the village with the road bridge adjacent, taken from the E.
General oblique aerial view of Kyleakin and Kyle of Lochalsh, looking NE. 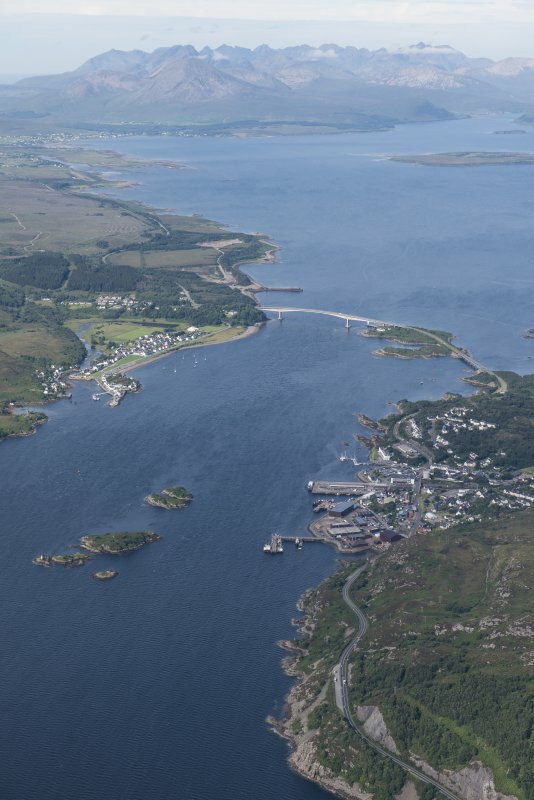 General oblique aerial view of the Skye Bridge with Kyleakin in the foreground and Kyle of Lochalsh in the distance, taken from the S.
General oblique aerial view centred on the Skye Bridge, taken from the E.
General oblique aerial view centred on the road bridge with the villages adjacent, taken from the SE. 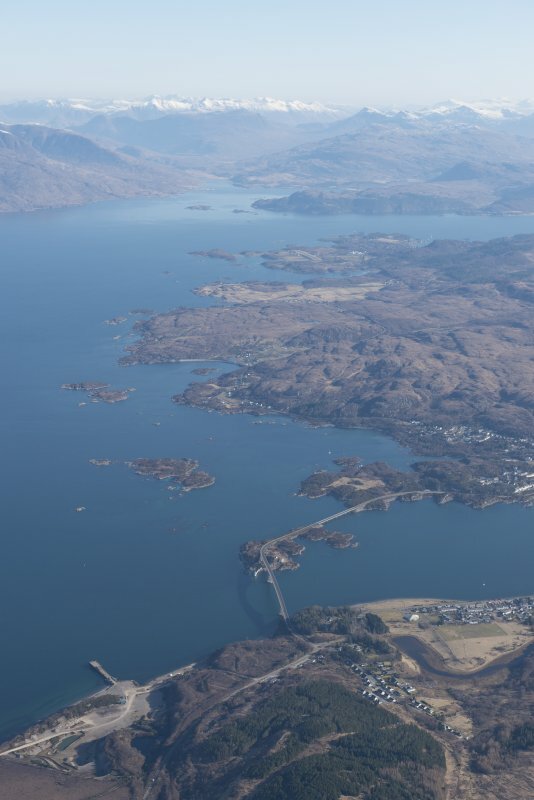 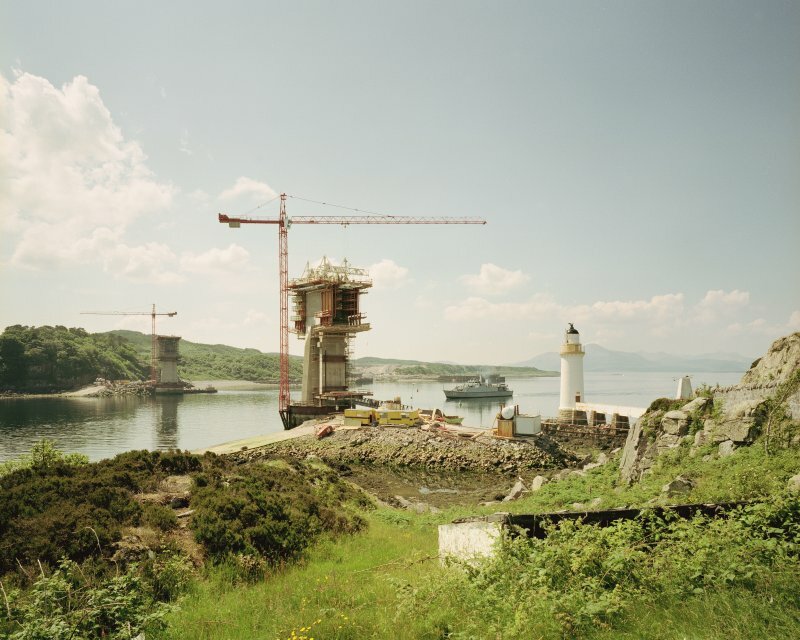 General oblique aerial view of the Skye Bridge and the Cuillin Hills in the distance, taken from the S.
Skye Bridge under construction. 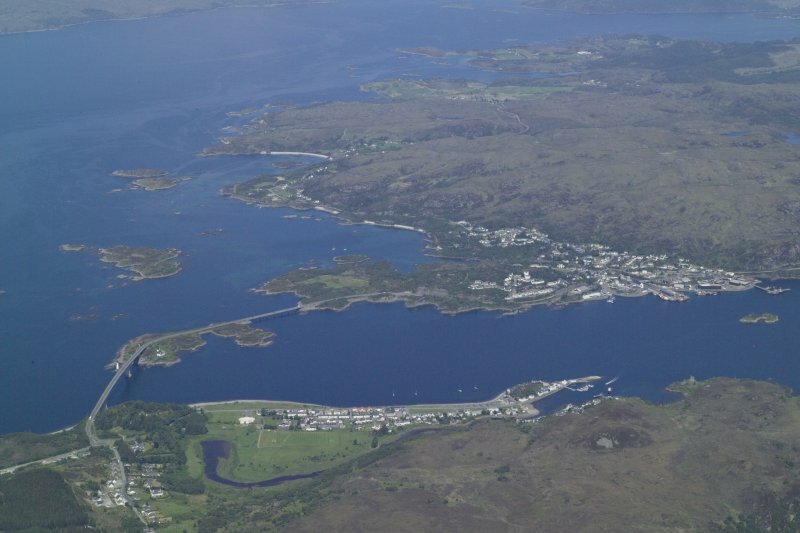 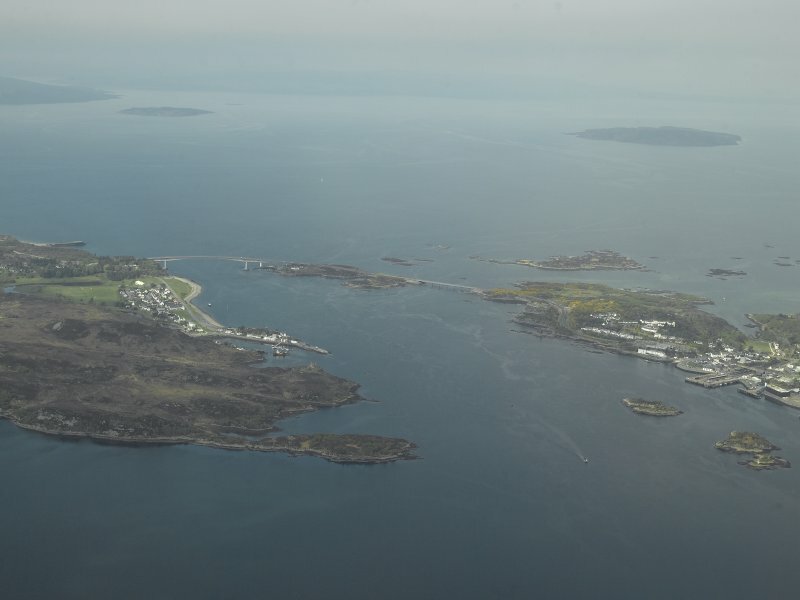 View from North-East on the island of Eilean Ban of the North and South piers, Kyleakin Lighthouse (NG72NW 6), and visiting naval vessel passing through. 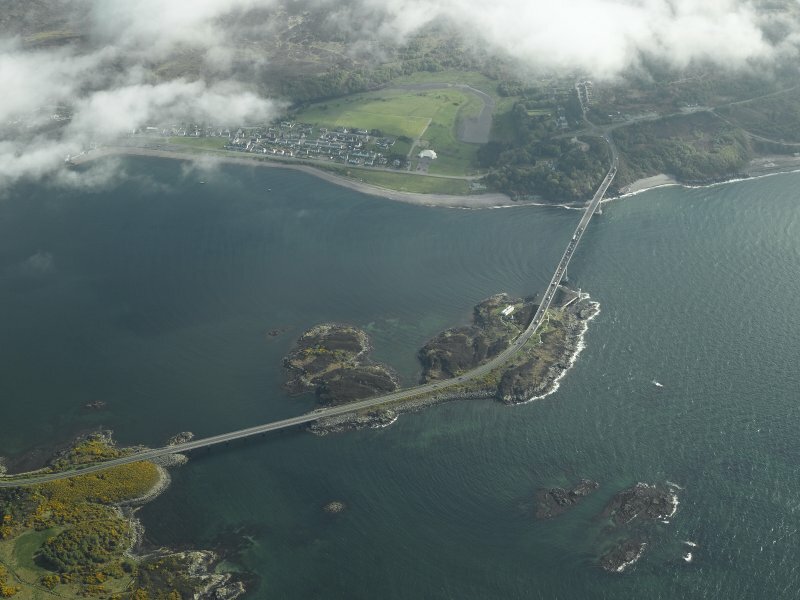 Skye, Skye Bridge. 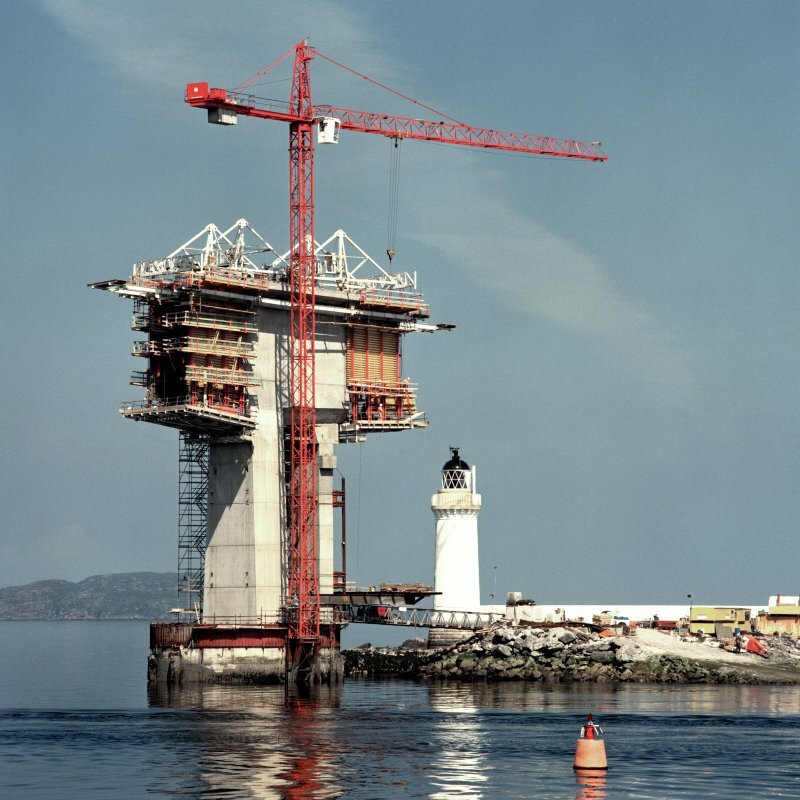 General view under construction. 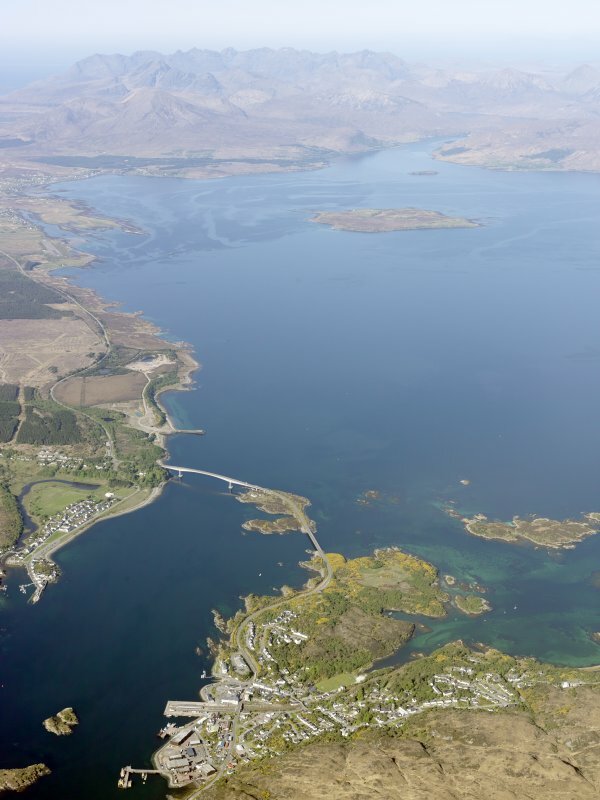 General oblique aerial view of Loch Alsh and the Skye Bridge, looking ENE. 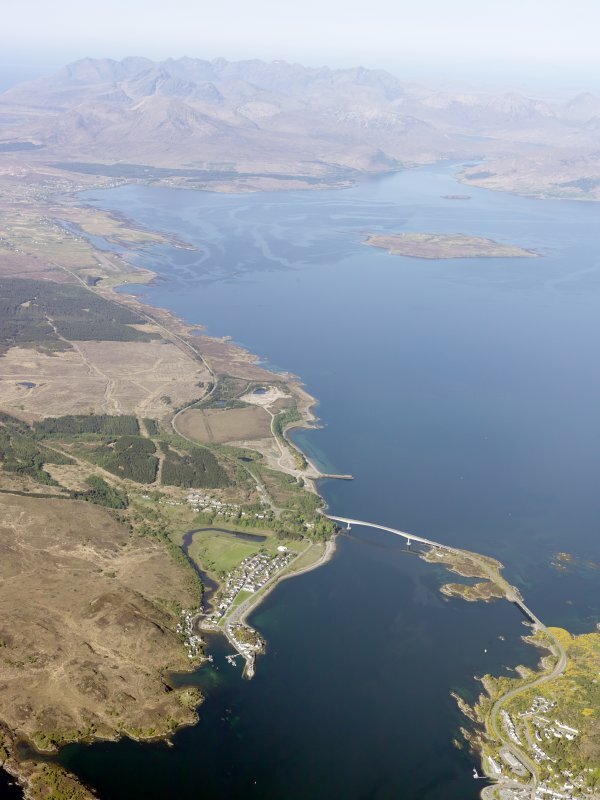 General oblique aerial view looking towards Loch Alsh centred on the road bridge, taken from the W.
General oblique aerial view centred on the road bridge with the village adjacent, taken from the NE. 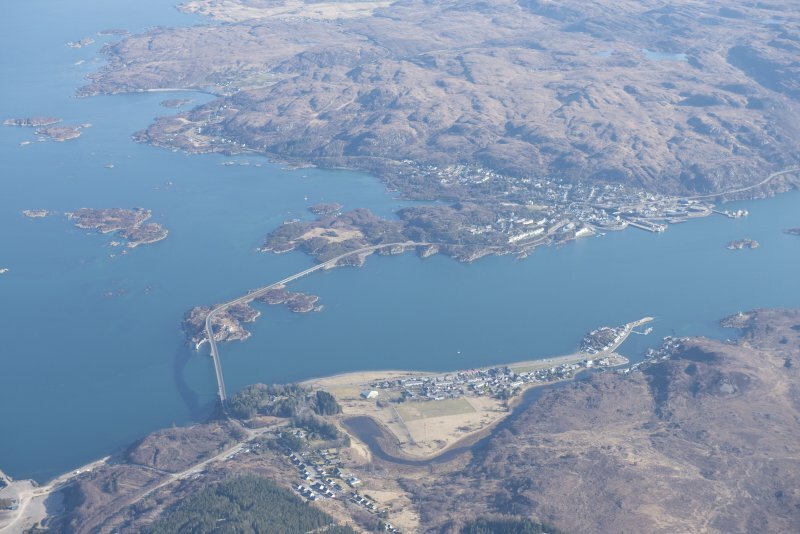 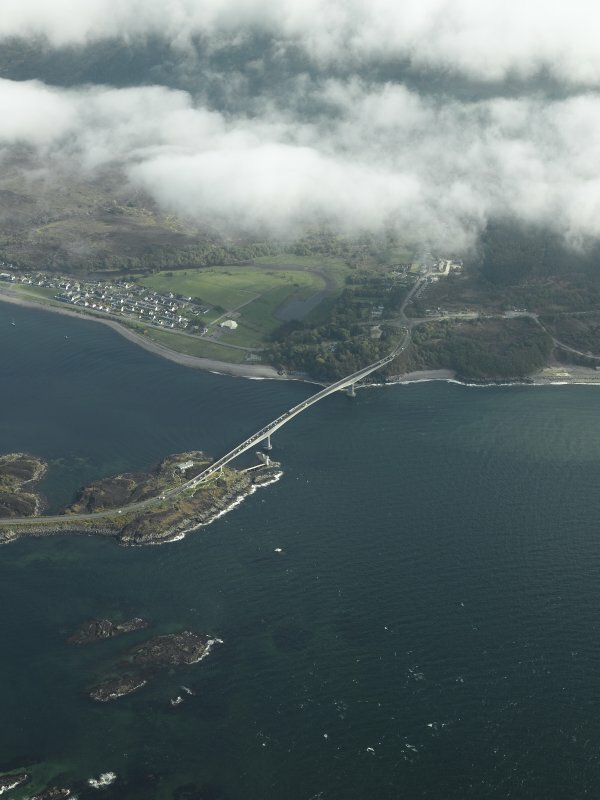 Oblique aerial view centred on the main span of the road bridge with the adjacent village of Caol Acain (Kyleakin), taken from the N.
General oblique aerial view of Loch Alsh with Plockton and Loch Carron in the middle distance, looking ENE. 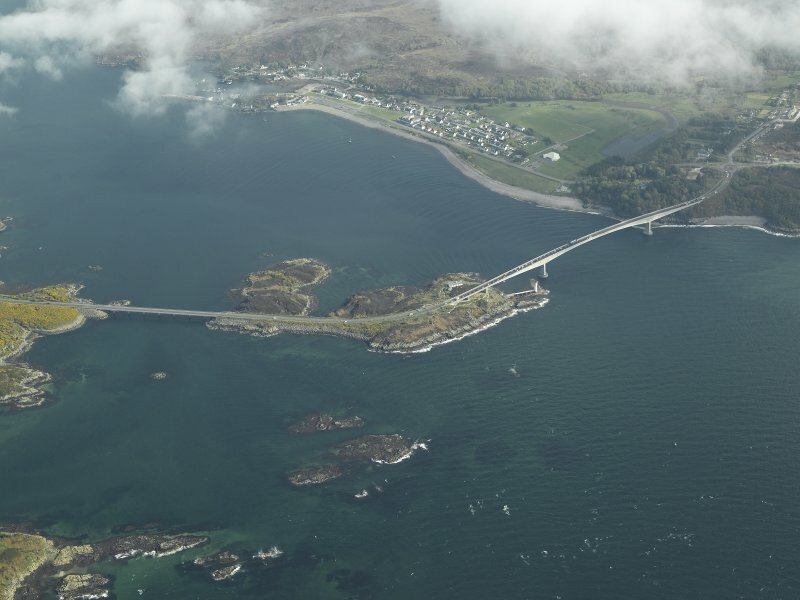 Oblique aerial view centred on the road bridge with the adjacent village of Caol Acain (Kyleakin), taken from the N.
Skye Bridge, the Miller Group, with Dyckerhoff & Wildmann, and with Ric Russell, 1995. 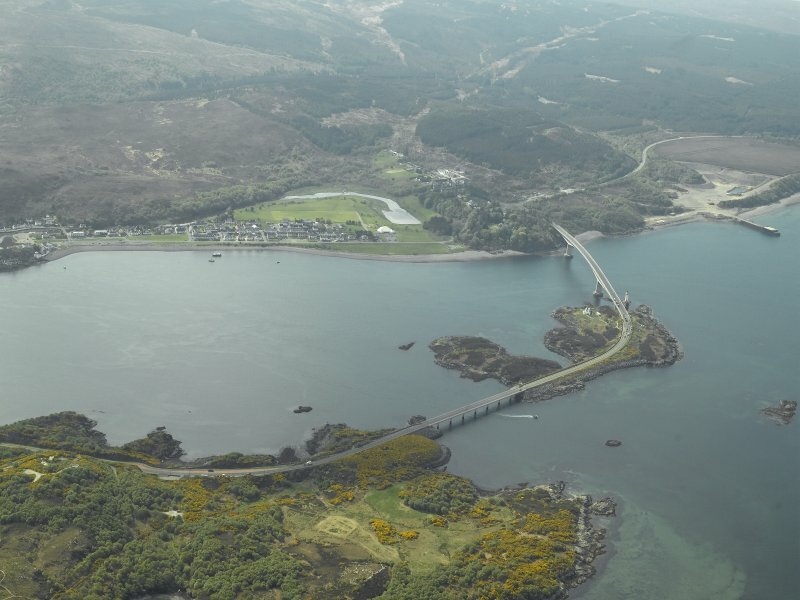 Contentious concrete box-girder motorway bridge with oak and copper Toll Buildings at Plock of Kyle by Holford Associates. 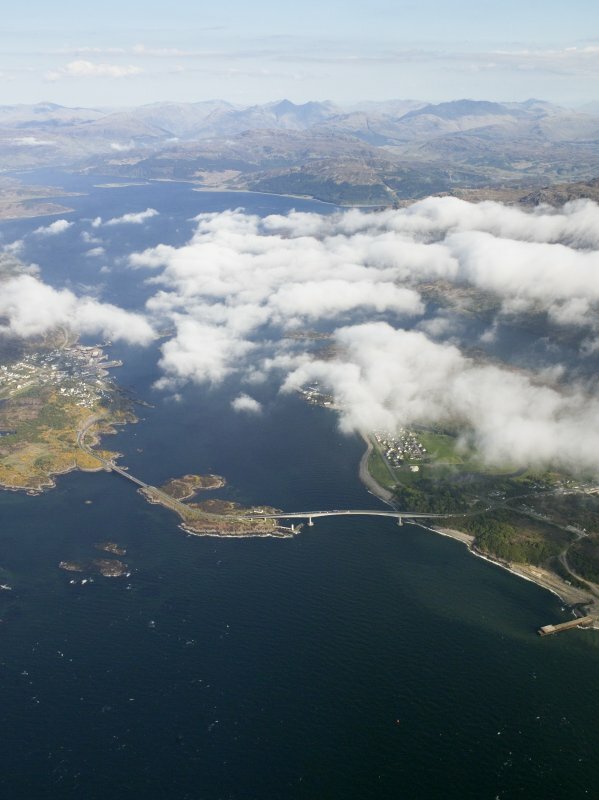 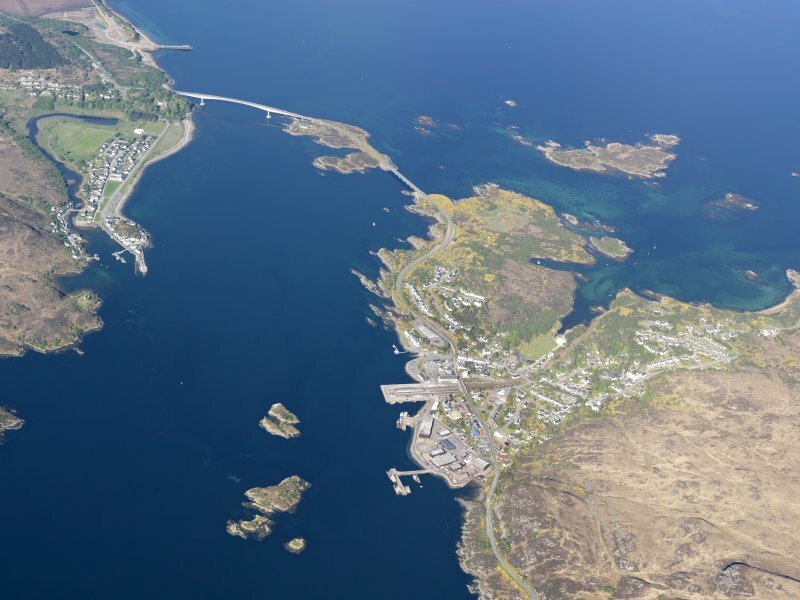 Skye Bridge also appears on mapsheet NG72NE and in the parish of Lochalsh.